If you are familiar with the several ill-effects of sleep apnea, you would have also heard about the impact the illness has on the heart. The starting point of many such heart ailments is rise in blood pressure. Sleep apnea and high blood pressure – this is one of the most predictable outcomes of this condition. Having said that, a lot of us do not have any clear idea of what exactly ‘blood pressure’ means and more importantly, what ‘high blood pressure’ signifies. Let us clear some of the confusion that may exist about this important side effect of sleep apnea before we discuss the matter in more details. We perceive pressure as some kind of force. When it is related to blood, it denotes the force with which the blood travels to and from the heart during its pumping function. The pressure is exerted on the arterial walls as the heart pumps blood. Measurement of blood pressure takes into consideration systolic and diastolic pressures. The pressure blood exerts during the pumping operation (causing the heart to beat) is called the systolic pressure and when the heart rests between two beats the pressure is termed diastolic pressure. The unit of measureme nt of blood pressure is mmHg or millimeters of mercury. 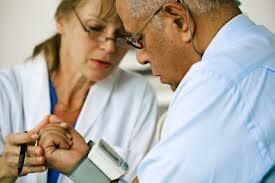 When you see blood pressure readings, there are two numbers like, 130/90 mmHg, etc. The two numbers denote systolic and diastolic pressures respectively. Blood pressure may rise, fall or remain normal depending on individual health conditions. There are several factors which make the blood pressure levels fluctuate. However, beyond a certain point, it is called ‘high blood pressure’, or hypertension. If blood pressure remains high for a prolonged period of time or is left untreated, it impacts the heart and health negatively resulting in stroke, heart attacks, kidney failure, and more. High blood pressure: how high is “high”? To understand what ‘high blood pressure’ denotes, it makes sense to know what is deemed as ‘normal’. Check the table below, which is self-explanatory. The normal range of blood pressures as shown in this table is that of a healthy adult over 18 years of age and do not suffer from any short-term illness. The figures against the ‘high’ category can cause damage to your health if it persists. High blood pressure is common in this country where 1 out of 3 adults have it. Blood pressure can fluctuate. For example, it reduces during sleep and increases on waking up. It can also go up during phases of excitement, high activity or when you are stressed or anxious. The higher your blood pressure, higher the risk of developing health issues. What is prehypertension? It is a stage prior to high blood pressure (ranging between 120-139/80-89 mmHg), which if left untreated, is likely to reach danger levels and fall in the category of high blood pressure. However, blood pressure usually rises with advancing age. Sleep apnea and high blood pressure: how are they linked? It is now proved that one o f the common and expected complications associated with sleep apnea is high blood pressure, along with several types of heart problems. One theory behind this link is that the repeated drops in the oxygen content of blood during apnea episodes puts extra strain on the heart during its pumping activity. In fact, such breathing pauses cause damage to the entire cardiovascular system. 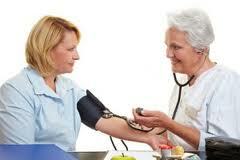 Therefore, rise in blood pressure is directly dependent on how serious the condition is. While on the topic of sleep apnea and hypertension, how can we possibly miss out talking about obesity which acts as a trigger for both the conditions? This was revealed in the results of a multi-centric study performed under the aegis of the Johns Hopkins School of Public Health. It involved over 6000 adults in their 40s and above. Published in the April 2000 issue of JAMA (Journal of the American Medical Association) it not only found that sleep apnea increased the chances of developing high blood pressure, but also that sleep apnea is possibly the reason why obese people develop high blood pressure. It was found in this study that 30 pauses or more during the night doubled the risk of rise in blood pressure. This risk was noticed even with people whose condition was moderate. It is also a fact that people who are overweight already run a risk of developing elevated blood pressure levels. Though it is still not known whether sleep apnea is responsible for causing heart ailments, but it is more than clear that existing sleep apnea will most certainly result in hypertension sooner than later. The cause and effect relationship between sleep apnea and hypertension has been proved beyond doubt. In the context of hypertension, presently there is uncertainty as to whether it is a direct result of sleep apnea, or it is caused by any other concealed cause behind the onset of sleep apnea, like obesity, etc. 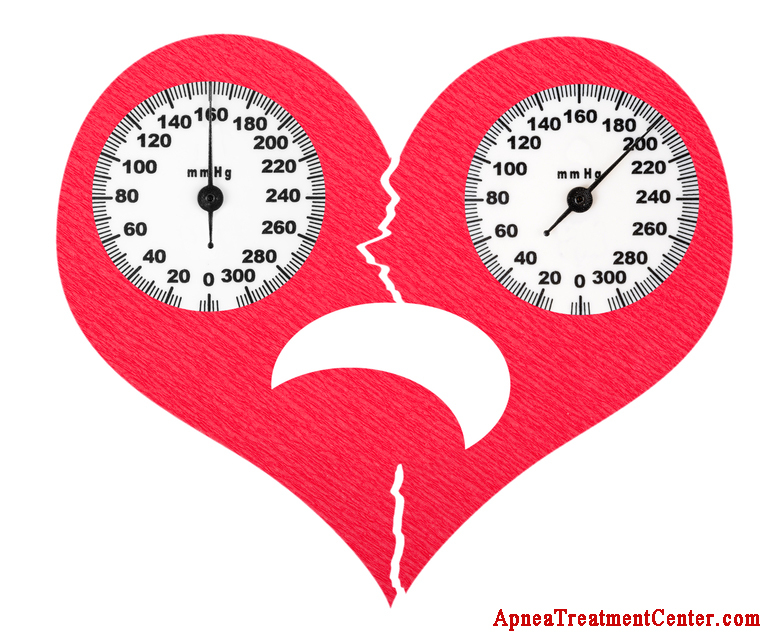 How does sleep apnea help in elevating blood pressure? Repeated cessations of bre athing not only lower oxygen in the blood but also send alert signals to the brain, which in turn uses the nervous system to constrict the blood vessels so that oxygen supply to the heart can be restored in the speediest manner possible. An important point to note with regard to the link between the two conditions is that obesity need not always be the common trigger. In fact, there exists some amount of risk of blood pressure to rise amongst people who snore, experience frequent waking and suffers severity that is mild. 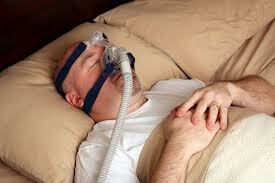 Sleep apnea patients cease to breathe several times in the night. There are several outcomes because of this including sudden fall in oxygen levels in the blood, stress hormones release, elevation of blood pressure and frequent waking. The aftermath of such stressful events involve many physiological changes that impact the entire endocrine and cardiovascular systems. The effect of raising blood pressure often leads to other heart problems like irregular heartbeats, heart failure, stroke, etc. All such situations could also lead to diabetes. 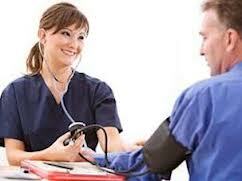 There are chances that high BP becomes a parallel chronic condition with sleep apnea patients. Pressure could rise up to 230/180 when a patient is suffering from this sleep disorder. Having turned chronic such elevated levels show up even when the patient is awake. Do men and women share the same kind of risk in terms of developing high BP? It has been found that hypertension is prevalent in sleep apnea to the extent of 30 to 70% and this is the same with both men as well as women. However, presence of obesity could alter this scenario. Men with BMI more than 37, who have sleep apnea, run a double-risk of high BP than women who are obese as well as have sleep apnea. 1. Genetic factors: Sleep apnea and high blood pressure may be acquired due to hereditary factors. 2. Ageing: Advancing age can cause loss of flexibility of blood vessels as well as muscles of the heart, contributing to high BP. Likewise, ageing also causes throat muscles to become weak and floppy making them vulnerable to collapse during sleep. People over 60 years of age are at greater risk. 3. Gender bias: Though men have higher risk of high BP than women till about 45 years. Beyond 64 years of age, the risk in women increases. As far as sleep apnea is concerned, the risk of developing this sleep disorder is double compared to women. But here too, the risk increases in women after menopause and if they are obese. 4. Obesity: If you are overweight (BMI between 25 and 30) chances are that you would also have high BP. Obesity puts extra stress on cardiovascular muscles which lead to this condition, which in turn damages the heart extensively, if not treated on time. Similarly, excess fat accumulation on the upper airway can narrow the airway causing obstruction during breathing. But it is also true that high BP can happen to people who are not obese and so is sleep apnea, the onset of which may be independent of obesity. 5. Excess alcohol consumption: While alcohol causes loosening and over-relaxation of throat muscles contributing to the onset of sleep apnea, it can also adversely impact the heart and result in high BP as well as various types of heart ailments. 6. Smoking: While active smoking can damage arteries, passive smoking results in the increase of risk in people who are non-smokers. With sleep apnea, smoking increases the risk of developing the sleep disorder by 3 times. It causes fluid retention and inflammation in the upper airway, which is the basis for the onset. It appears that the basic problem starts at the detection level. First of all, patients suffering from hypertension are treated for the disease-specific symptoms without any probe into the real cause behind such elevated pressure levels. Thus the link between the two conditions is often overlooked. While it is not practical to test all cases of hypertension for sleep apnea, a thorough evaluation of such patients should not exclude a medical history analysis as well as physical examination. To identify a possible link between the two, probing into the sleeping habits of the patient is necessary. 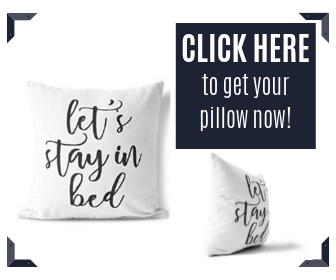 Information regarding snoring patterns, panic attacks at night, history of choking and gasping and most importantly, any record of excessive daytime somnolence should provide enough clues regarding the underlying condition. Physical examination should not be limited to body weight only. Measurement of neck girth, examination of mouth and pharynx could reveal if the airways have got narrowed due to the presence of excess tissues. Such examinations should be done for both the sexes. Even if there is an iota of suspicion, the patient should be sent for polysomnography, the diagnostic test to detect sleep apnea. Treating sleep apnea with CPAP: Feasible? It has been observed that patie nts put on CPAP therapy show marked improvements in their blood pressure profile not only during sleep but also during the day. CPAP therapy also prevents relapse (by 40%) of patients with pre-existing atrial fibrillation (irregular heart rhythm) which left untreated could recur (80% of the time). There are two trial reports published in JAMA which confirm the efficacy of this therapy option in diminishing the risk of high BP in patients with apnea. The efficacy of CPAP, if used according to recommended instructions, is attributed to its protective properties, according to one researcher. This therapy can also prevent rise in the BP levels in apnea patients who still do not show any signs of it. Patient compliance remains a big issue with CPAP therapy. On this aspect, researchers feel that the role of the clinicians is important in terms of counseling, etc which can encourage the patient to continue with the therapy. Be that as it may, researchers believe that further trials are needed to know the duration of such therapy that is needed to achieve the desired results. Other viable options to treat sleep apnea should not be ignored, the researchers opine, though not many clinical trials have been done to demonstrate the long-term efficacy of such options for reducing blood pressure levels. Majority of the studies done only shows improvement of symptoms that are subjective. These include improving daytime sleepiness, quality of life, etc. Nasal masks, popular in CPAP therapy are found to be effective in reducing blood pressure. Without doubt, treating sleep apnea most certainly improves other health conditions associated with it, including high BP. 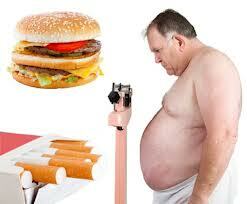 Eliminating certain common risk factors like alcohol consumption, obesity, smoking is recommended. Sleep apnea and high blood pressure is one of the most predictable outcomes. Relief is possible if the concealed medical condition is detected early when a patient seeks treatment for hypertension. Once diagnosed, there are plenty of treatment avenues open including altering lifestyle choices, which not only lower blood pressure but can also reduce the severity of the symptoms of apnea.